As a consequence of Germany’s robust economic performance since 2010, the number of business failures decreased annually. 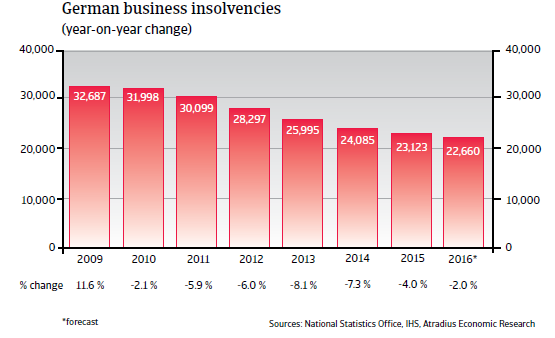 In 2015 business failures decreased by 4.0%, to 23,123 cases. 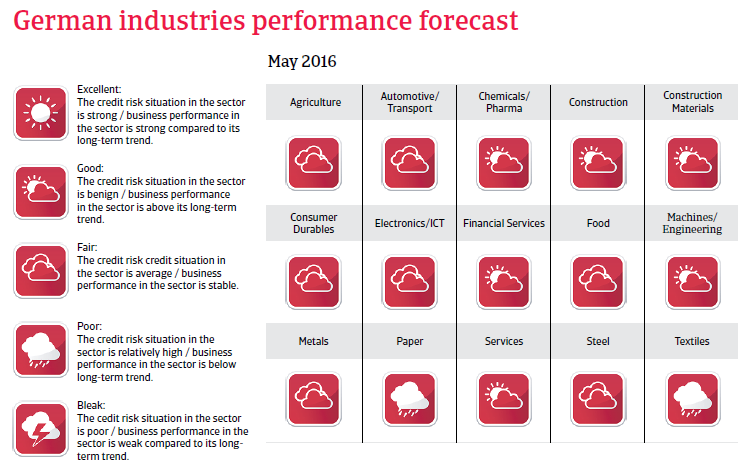 In 2016 it is expected that the annual decrease will slow down to 2%. The German economy recorded a solid growth rate of 1.7% in 2015. 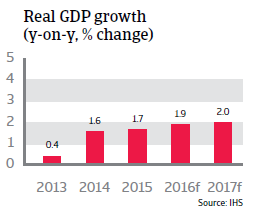 In contrast to previous years, when economic growth was mainly driven by exports, household consumption became a key driver in 2015, increasing 1.9%. This trend is expected to continue in 2016 with household consumption expected to increase 1.9%, still driven by low oil prices, rising wages and a further decrease in unemployment. At the same time, government expenditures are forecast to increase, especially for the sharply increased number of migrants. 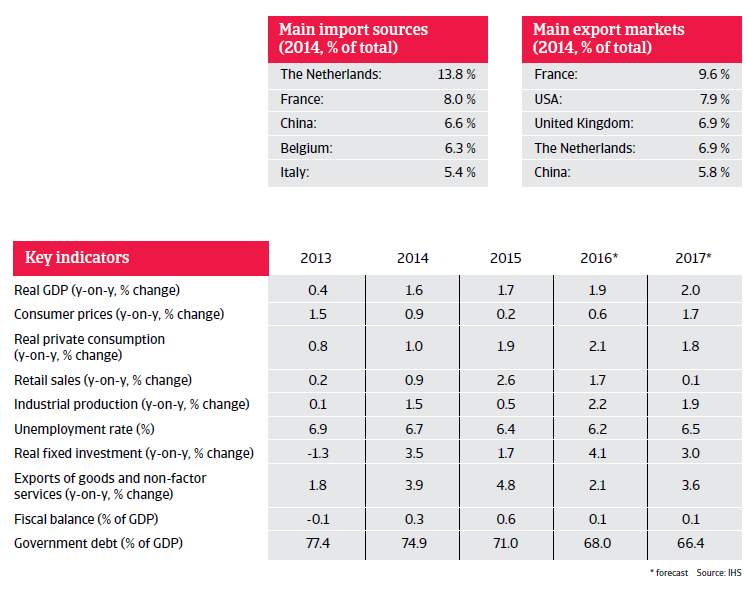 While business investment and industrial production are expected to record higher growth rates than in 2015, export performance will be affected by a more sluggish global demand. Overall, a GDP increase of 1.9% is expected in 2016. The federal government has achieved slight budget surpluses since 2014, largely due to higher tax revenues and lower government transfer payments for unemployment. In 2016 and 2017 the budget surplus is expected to decrease again due to increased expenses in order to cope with the high number of migrants.